Rate this project Henry Jensen has announced the release of DeLi Linux 0.8.0, a light-weight desktop distribution designed for computers with as little as 32 MB of RAM: "DeLi Linux 0.8.0 is the next big step and the first release of the 0.8.x branch. The main focus of the 0.8.x series will be internationalisation. The biggest changes are: switched to UTF-8 as the default encoding; dropped GTK+ 1.x, switched to GTK+ 2.x (2.10); switched to the 'pacman' package manager (from Arch Linux); Netsurf or Skipstone as web browsers; AbiWord 2.4.6 with ODT plugin and Gnumeric 1.6.3; Linux kernel 2.4.36.4, now with LSI Logic support (important for VMware guests). Unfortunately, the hardware requirements had to be raised: for running the GUI at least 32 MB of RAM are recommended; a MMX capable processor is recommended for multimedia applications; a full installation with all applications requires about 750 MB space on hard disk." Here is the full release announcement. Download the installation CD image from here: deli-0.8.0-full.iso (252MB, MD5, torrent). ConnochaetOS (formerly DeLi Linux) is an Slackware-based Linux distribution for x86 computers with limited resources. ConnochaetOS ships with free (libre) software only and removes proprietary software and binary blobs from its upstream sources, including the Linux kernel. Where possible free software alternatives are provided. ConnochaetOS strives to remain backward compatible with Slackware and Salix OS. Henry Jensen has announced the release of a new version of the Slackware-based ConnochaetOS distribution. ConnochaetOS ships with free software (as defined by the Free Software Foundation) exclusively, stripping out binary blobs and replacing proprietary components where possible with freely licensed packages. "I am proudly announcing ConnochaetOS 14.2, based on Slackware and Salix 14.2. As always it contains only free/libre software as defined by the Free Software Foundation (FSF). We are now using our own deblobbed Linux kernel, named 'kernel-free' based on the de-blobbing mechanism done by Debian GNU/Linux. ConnochaetOS contains: The de-blobbed Kernel Linux 4.4.19, IceWM 1.3.12, Iceweasel 45.3.0. In our slack-n-free repo we provide the current versions of Iceape and Icedove, the brand-new qt5-webengine based web browsers Qupzilla and Otter-browser and LibreOffice 5.1.4 as provided by Eric 'Alien' Hameleers." ConnochaetOS strives to maintain backward compatibility with Slackware and Salix. The full announcement can be found in the project's release announcement. Download: connochaetos-14.2.iso (630MB, SHA512, pkglist). ConnochaetOS, a desktop distribution based on Slackware, has recently reached version 14.1. The project's developers announced the new release on the distribution's forum: I'm happy to announce the release of ConnochaetOS 14.1. The installation ISO image comes with Kernel GNU Linux Libre 3.10.77, IceWM 1.3.7, Iceweasel 31.6.0esr libre. Compared with RC2 Icecat was replaced by Iceweasel libre because Iceweasel needs lesser resources. ConnochaetOS is a fully free/libre GNU/Linux distro for x86 computers with limited resources, based on Slackware and Salix OS. `Fully free' means, that ConnochaetOS does only contain free software and no proprietary, non-free software, blobs or firmware. Non-free parts of the upstream distros were removed and - where possible - replaced by free counterparts. ConnochaetOS retains full backwards compatibility with Slackware and Salix OS." Download (SHA512): connochaetos-14.1.iso (638MB, pkglist). Henry Jensen has announced the release of ConnochaetOS 0.9.1, an Arch-based Linux distribution for old computers (from i486 to Pentium MMX 166), built exclusively with "libre" software: "I am announcing the release of ConnochaetOS 0.9.1. This is a maintenance release. Since the 0.9.0 release many bugs were fixed. The default kernel was upgraded to Linux-Libre 2.6.32.57 and many other packages were upgraded and we released many security fixes. ConnochaetOS 0.9.1 provides: Linux-Libre kernel 2.6.32.57, the IceWM desktop 1.3.7; a lightweight webkit based web browser - XXXTerm; GOffice word processor and spreadsheet - AbiWord and Gnumeric; lightweight e-mail and IRC applications, multimedia player, file manager, CD burning tool and even some small games. Available as optional software: Linux-Libre kernel 3.2.7; Iceweasel-Libre in the versions 3.5.16.12 (LTS) and 10.0.2 (Current); LXDE 0.5.x. Visit the distribution's home page to read the release announcement. 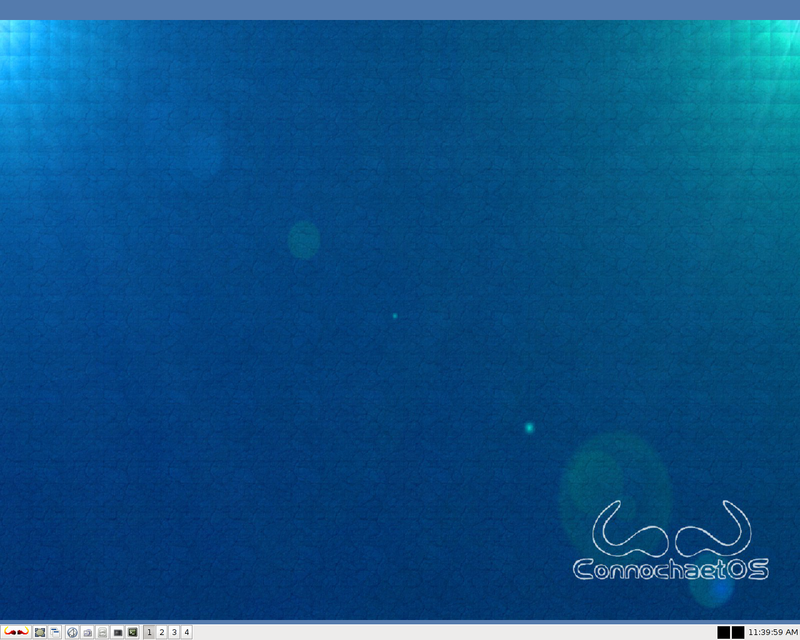 Download: connos-0.9.1.iso (392MB, MD5). Henry Jensen has announced the release of ConnochaetOS 0.9.0, a lightweight desktop distribution, formerly known as DeLi Linux, designed for old and low-resource computers (Pentium I, 64 MB of RAM): "I am pleased to announce the release of ConnochaetOS 0.9.0. After one year of development and after three years after the last release of its predecessor, DeLi Linux, this is the first stable release of ConnochaetOS. In the last weeks since RC1 we simplified the installer once again, fixed some more bugs and updated the kernel, the web browser XXXTerm and other packages, and produced some documentation. ConnochaetOS 0.9.0 provides: kernel Linux-Libre 2.6.32.43, the IceWM desktop 1.3.7, a lightweight WebKit-based web browser - XXXTerm, GOffice...." See the release announcement for more information. Download the installation CD image: connos-0.9.0.iso (391MB, MD5). ConnochaetOS is a new name of a distribution formerly known as DeLi Linux, a minimalist operating system designed to run on old or low-resource computers. Unlike DeLi Linux, ConnochaetOS is based on Arch Linux, it optimised for the i586 architecture and it uses LXDE as the default desktop environment. From the announcement: "I am happy to announce the release of ConnochaetOS 0.8.9 beta 1. This release uses LXDE as the desktop environment, but this may change in the future. It comes with Linux kernel 2.6.32.25-libre, X.Org Server 1.9.2, LXDE 0.5.0 and appendant application, XXXTerm - a lightweight WebKit-based web browser, and AbiWord and Gnumeric as the office suite. This is a development release, so don't use it for production; however, tests and reports are very appreciated." Visit the distribution's home page to read the brief release announcement. Download: connos-0.8.9beta1.iso (339MB, MD5). 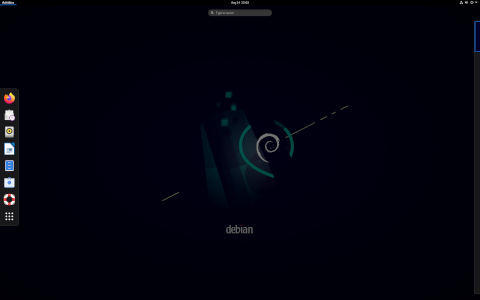 Henry Jensen has announced the release of an updated version of DeLi Linux, a distribution designed for legacy hardware: "DeLi Linux 0.7.1 is mainly a bug-fix release. But there are also some new features: support for Microchannel (PS/2 machines) and EISA; added 'deliget', a tool for downloading and installing packages; new packages including AbiWord 1.0.7, Fox, Xfe and XMMS. DeLi Linux is a distribution made for old hardware. Machines from 386 to Pentium I with 8 to 32 MB RAM are considered as target systems. DeLi Linux uses lightweight software wherever it is possible. Nevertheless DeLi Linux provides a graphical desktop with an office package, web browser, e-mail client, PDF viewer and games." The release announcement. Download: deli-0.7.1.iso (125MB, MD5). 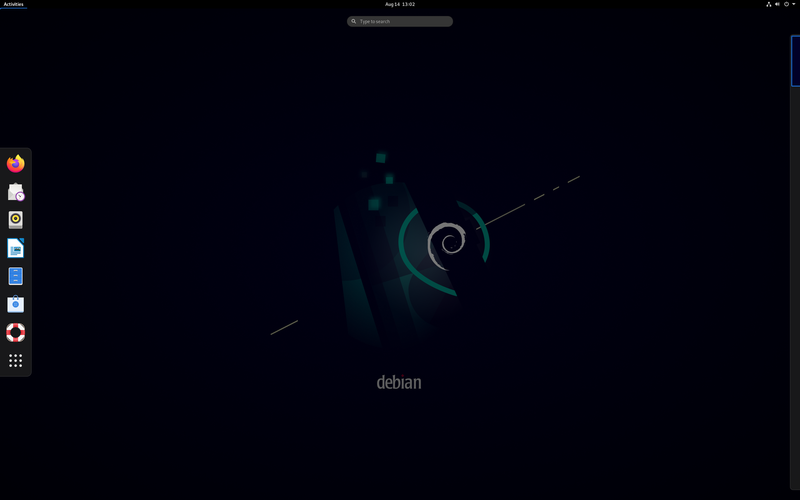 Henry Jensen has announced the release of DeLi Linux 0.7, an independently developed distribution designed to run on very old computer systems (those with a minimum of 8 MB of RAM): "I am proud to announce the release of DeLi (Desktop Light) Linux 0.7. DeLi Linux is a distribution made for old hardware. Machines from i386 to Pentium I with 8 to 32 MB RAM are considered as target systems. DeLi Linux uses lightweight software wherever it is possible. Nevertheless, it also provides a graphical desktop with an office package, web browser, e-mail client, PDF viewer and games. The most important changes: based on uClibc 0.9.28; kernel 2.4.33.3; a 'stripped-down' X.Org 7.1; a BSD-like ports system (borrowed from CRUX)." More information can be found in the release announcement and on the project's home page. Download: deli-0.7.iso (127MB).